Craving the flexibility of driving a new Dodge model every few years without the responsibility of vehicle ownership? Interested in lower monthly car payments if you drive fewer miles? Visit Rice Chrysler Jeep Dodge Ram in Alcoa, Tennessee today to learn more about our stellar Dodge lease options! Whether you're interested in more financial freedom or enjoy switching vehicles frequently, Dodge leases offer drivers a way to get the car they dream off at a price they can afford. Visit our Alcoa, TN Dodge dealership today to discover more! The Dodge lineup at Rice CJDR is second to none, thanks to impressive car, SUV, and minivan options. The Dodge Grand Caravan, for example, turns the minivan game on its head with a stylish design to go with its already spacious interior. Looking to add some fun to your morning commute? 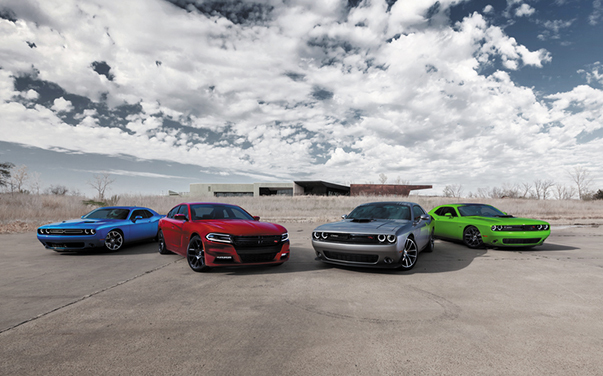 Look no further than the Dodge Charger and Dodge Challenger. Explore the Dodge Journey SUV for incredible performance and cargo space. Swing by our Dodge dealership in Alcoa, TN to test drive these amazing vehicles and learn about our wide range of financing options. For any financial questions that come up during your car shopping journey, reach out to our knowledgeable finance center at Rice Chrysler Jeep Dodge Ram in Alcoa, TN. Our team will work with you to find a financing solution that makes the most sense for you, from working with your credit history to accurately assessing your trade-in value. We're happy to discuss the pros and cons of auto leasing and whether a car loan fits your needs better. Give us a call to get started today!